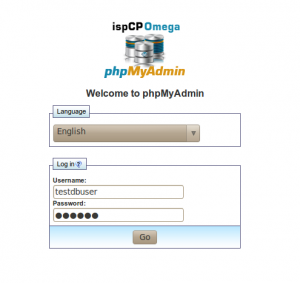 This howto will give you an idea on where you can get the IspCP account backup and how to restore your account with IspCP. Daily backups must be enabled for your account by reseller so that you can get daily backups. 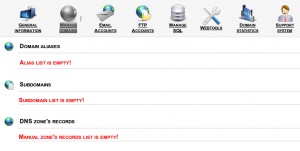 Clicking on “Restore” button will restore the account from the latest daily backup on backups/ directory. You can create and manage custom error pages of your sites with IspCP. click on “Edit” near error page that you want customise. Add content as you with on the specific error page. This is a howto/tutorial on creating password protected directories with IspCP. You will be now asked for a login when browsing the selected directory with the url. IspCP uses a filemanager called net2ftp, ftp login details are used to login to the file manager. Use desired username and password in the respective fields. If you want to create an account with access to a specific subdirectory not main dir in the account, enable “Use other dir” and chose the dir by clicking on “Choose dir” link. 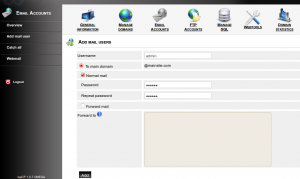 Set the email username and password on respective fields. 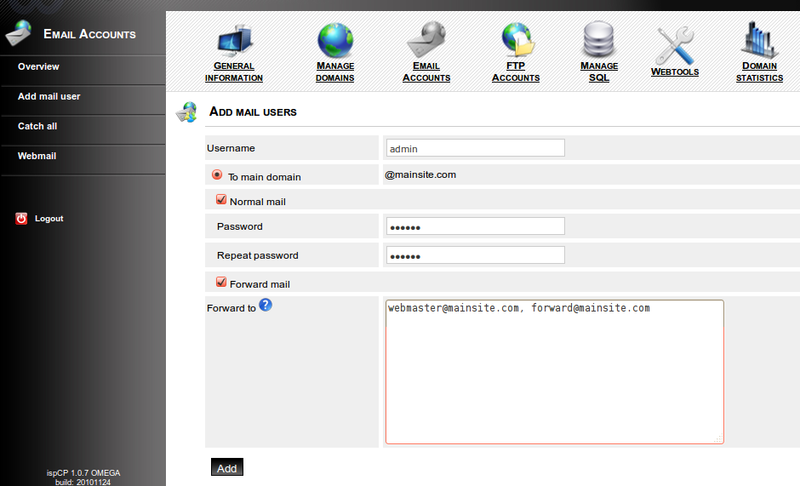 Enable “Forward mail” and you can set the email address to which the forwarding must be done on the next box. 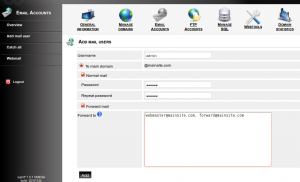 Multiple email address can be set separated by comma. 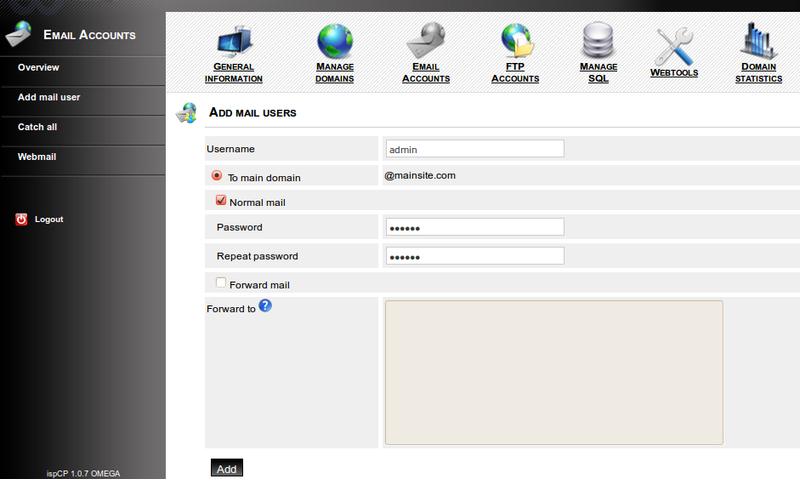 Catch all account is an email account that is used to route all the main to non existing email address of a domain. Click on Catch all. You can select the email address to be set as catch all from the list “Mail accounts list” or set a different on by selecting “ Forward mail”. 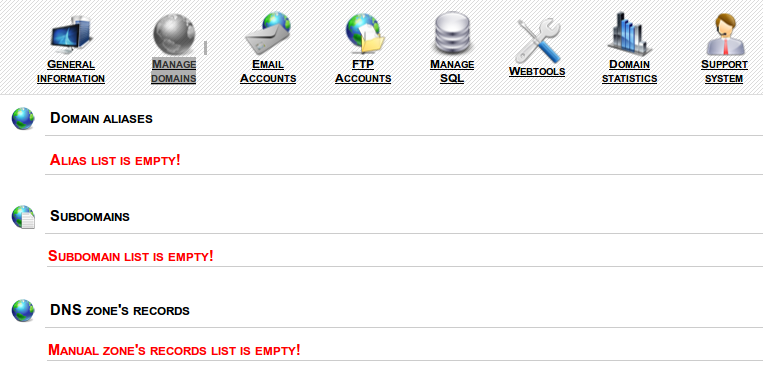 Click on webmail to access the webbased email client. Click on add button at the bottom to add the subdomain and create the redirect. Park a newsite on your main site , ie mainsite.com and newsite.com will give you same content. Add a new site to your control panel, ie newsite.com will have separate home directory and will display different content. Click on Add alias button on bottom to park the domain on mainsite.